Ignoring how the ancient Egyptians could have preordained modern commercial air-travel and classification of specific orthomyxoviridaes, the curse has plagued me my entire life. No matter what I try – vitamins, rest, exercise, diet – nothing seems to be able to keep my normally strong immune system safe from being confined with 100+ strangers in a box full of recycled air. I just got back from a trip to England, and they haven’t finished that trans-Atlantic bridge they’ve been talking about, so here I sit, sick. I’ve sweated like I just finished a marathon, taken more medicine than recommended by the label on the bottle, slept for so long that the beginning of one SyFy movie blended into the end of another. My biggest issue with being sick isn’t the actual symptoms; sure, they’re annoying as hell, but they can be dealt with, assuaged. The real punch-in-the-stomach of being sick is the down time. The inability to write or edit because of brain fog, the muscles aches that keep you from covering distances any longer than bathroom to bed, the full-fledged loss of hours or days that could have been productive and full of life, all because your immune system refused to show up for work. I’m always willing to try home remedies, especially those that are tangentially related to beer. Andrew of Das Ale House mentioned throwing some hops into my tea as a beery panacea, and since I was going to make some anyway, I figured I’d give it a go. Hops act as a preservative for beer, and some medical research suggests they are also anti-inflammatory, anti-bacterial, and anti-insomnia. Plus, they smell and taste great, which is a much needed psychological boon when you can only breathe out of one nostril. I know this isn’t the most sophisticated recipe I’ve ever come up with, but whatever, I’m sick. I used the microwave, but the kettle works too if you’re going to be all English and prescriptivist about it. You have to get the water pretty hot, as you’re going to want to pull all the good oils out of the hops (mimicking a brewing boil, I suppose). 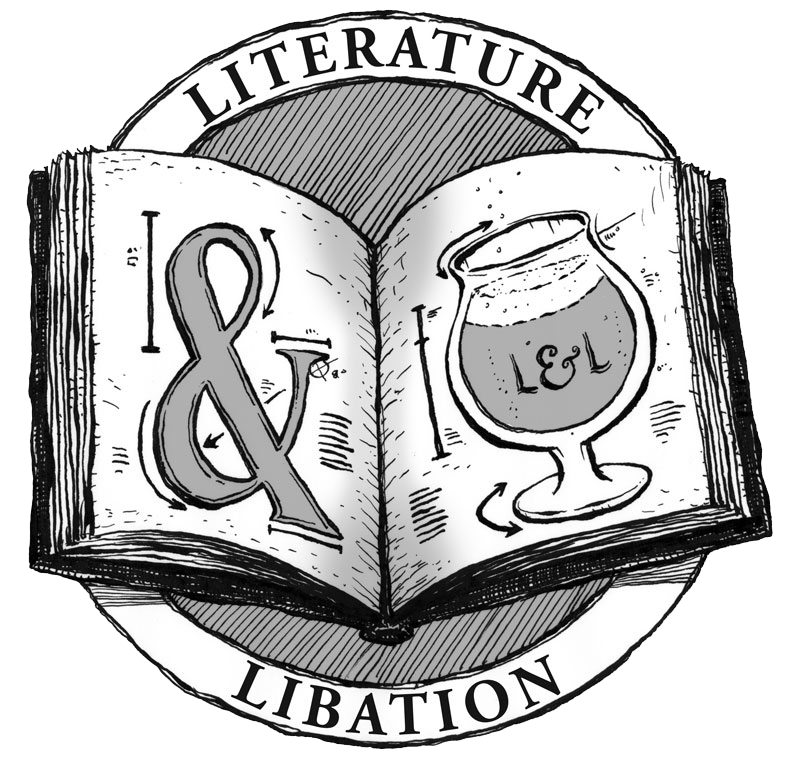 I used a plain-unflavored green tea because I thought black tea would overwhelm the subtlety of the hop aroma, and add too much acidity when mixed with the alpha acids of the hops. I think white tea would work too, but I didn’t have any to experiment with. Orange pekoe might be a good partner in this bath-time ballet, too. I’m no tea expert. I didn’t let the hops dry (because I’m impatient), so they needed to steep a bit longer. I used six, largish cones from my first year Willamette bines. Any less and I don’t think you’d notice the aroma much, any more and the tea would probably be too bitter to drink. Let the tea bag steep for ~45-60 seconds. 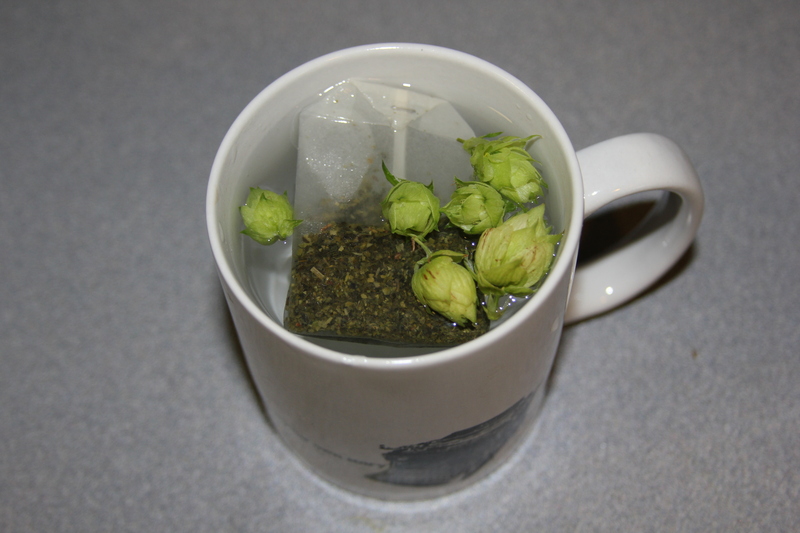 Remove the hops when they sink to the bottom, or leave them in while you drink the tea. Warning: if you leave them in the whole time, the last few sips are intense (read: acrid and bitter). It may be because I’m a little partial to the smell and taste of hops, or it may because I can barely smell anything given the amount of mucous that has taken residence in my sinuses, but I thought this was some excellent tea. Time will tell if it makes me feel any better, but either way, it’s the closest I can get to an IPA without actually drinking an IPA. That’s a great idea. 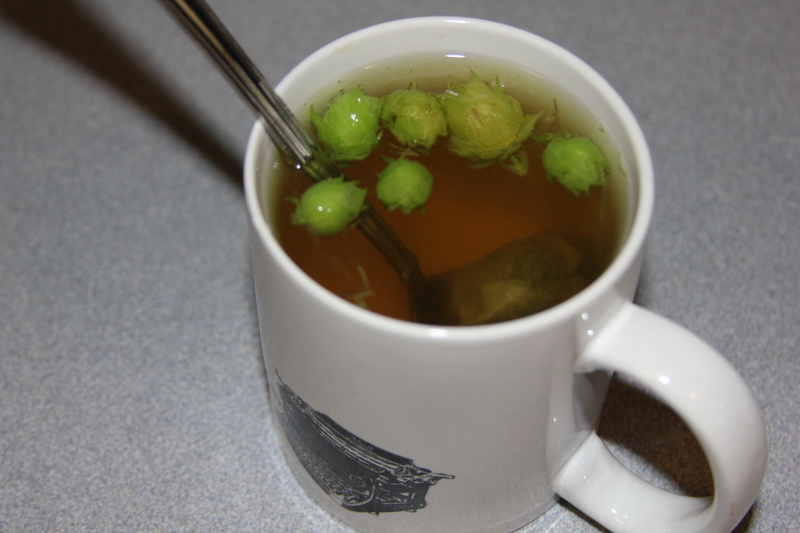 I do enjoy some tea every now and then but adding hops….. brilliant! Definitely will have to try this. IPA-tea. Must try this. Hope you feel better soon. I used to have similar problems when I traveled a lot. I found that drinking a ton of water helped for some reason (maybe less-hydrated bodies are more susceptible to infections). Didn’t make me the best person to fly next to if I was in a window seat, but at least I was stable when I made it to my destination. I didn’t know anyone else made hop tea besides me. This is so cool. Definitely gotta use whole flower hops, and I only do loose leaf tea and herbs. I found that both green and black tea overpowered the hop flavor, so opted instead for strawberry leaves and oatstraw. I also experimented with plantain leaves, instead of strawberry, which worked well. Lemon grass instead of oatstraw works nice, if you enjoy a slightly lemon touch. If sweetness is desired, a few stevia leaves work nicely. Where stevia is concerned, less is more.